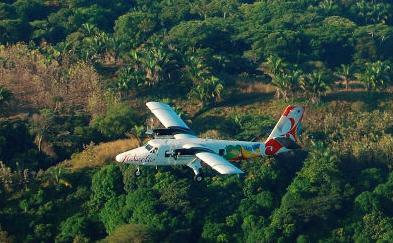 Fly around Costa Rica is made easy with Costa Rica's airlines. Avoid traffic and fly everywhere in Costa Rica. Based in San Jose, Costa Rica, Nature Air is Central America's Premier Airline for adventure travel, luxury vacations and ecotourism with 74 daily flights to 15 exotic vacation spots in Costa Rica, Nicaragua and Panama.